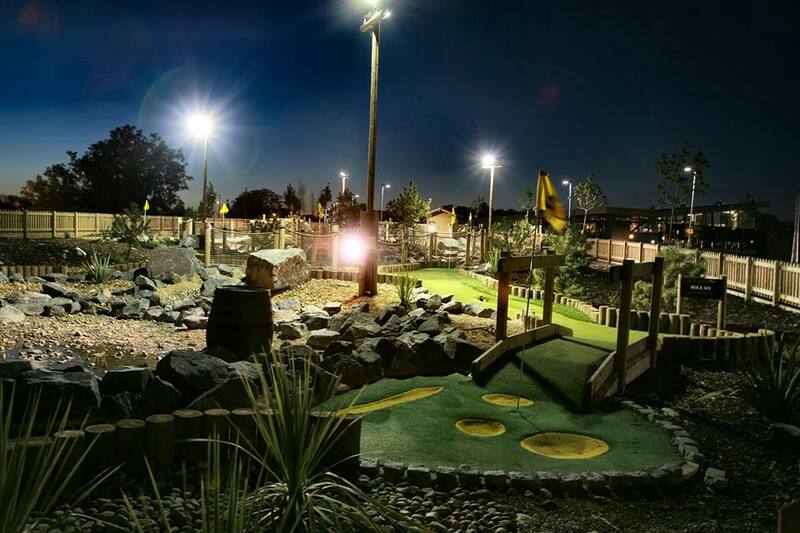 Play Golf is 9 holes of fun golf on a floodlit ‘Nautical’ Adventure Golf Course. Based on a nautical theme with games and water its great fun for everyone including the Kids, Mums, Dads and Grandparents, however old. The Adventure Golf Course is designed to introduce the youngest children to the game of golf. It’s colourful, there’s water and obstacles, and there are even bunkers to avoid… It’s great fun, and brings out the 5-year-old in everyone.